Making the decision to move is a tough one to make, especially when you think about the process of it. Finding a new home, packing up your whole house and loading it onto a truck, then unpacking it again can be stressful on anyone. We have some tips for you that will make preparing and packing for your move a piece of cake! Buying boxes, bubble wrap, and newspaper can get unbelievably expensive. You can find boxes elsewhere than on shelves in stores. Try looking behind the warehouse where shipments come in. Home improvement and retail stores always have boxes broken down that can easily be replenished with some tape and are free of charge! Instead of buying rolls of bubble wrap to use for dishware or fragile items, make use of blankets to cushion and protect your breakables. You will save time and room by packing two things at once. It is easy to get overwhelmed when you start to pack up your house. You have multiple rooms with what seems like a heaping amount of things in it. We suggest to pick and pack one room at a time. Start with the room that is the least used in the house, then make your way to the essential rooms as you get closer to the move out day. You will be less stressed by focusing on one place, getting it packed up within a few days, then starting in the next room. When you start getting into the mode of packing, you begin to pack and tape up boxes without any thought. When you finish up a couple of boxes, you look at them with accomplishment but realize you have no idea what is in them. To save yourself from having to cut open the box to reveal what is inside, take a marker before taping the box and label the contents of the box, if the contents are fragile, and what room they belong in. 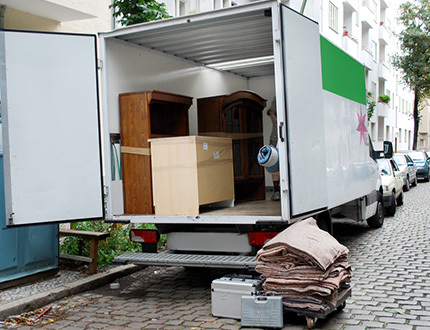 This simple task will make moving into your new home easier by allowing our movers to know what is in the box and which room to place it in while they unload the truck.